I have made my share of potentially dangerous mistakes throughout my 15 years of hiking. Mountains are typically unforgiving so I feel lucky that none of my poor decisions have been costly. Each of these experiences has taught me a lesson that I will never forget. Below are my top five hiking mistakes and how you can avoid making them. The plan for my second 4,000 footer was to camp at The Perch and summit Mount Adams in late October. I was so new to hiking that I had no knowledge of trail or weather conditions. I simply headed for the trailhead to find winter like conditions with plenty of snow and temperatures in the teens. I was not prepared for these conditions and was wearing cotton clothes and didn’t even know what crampons were at that time. I proceeded with the hike and was completely soaked by the time I reached the Perch. My clothes literally froze overnight. I still made it to the summit, with no ice traction, and back to the trailhead safely. 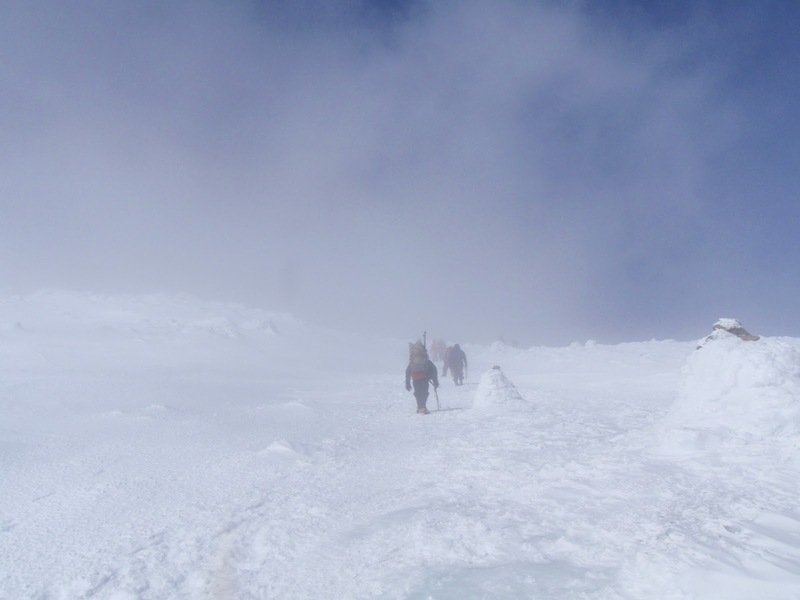 The real mistake here is that I had no business being on Mount Adams with no winter gear, no awareness of conditions and no cold weather hiking experience. This mistake had the potential to be very dangerous but I was lucky that it wasn’t. How to avoid this mistake: Always check the trail conditions several times before any hike. Be aware of the worst case weather scenario and pack the gear to deal with it. If you don’t have the proper gear for the conditions then stay off the trail. 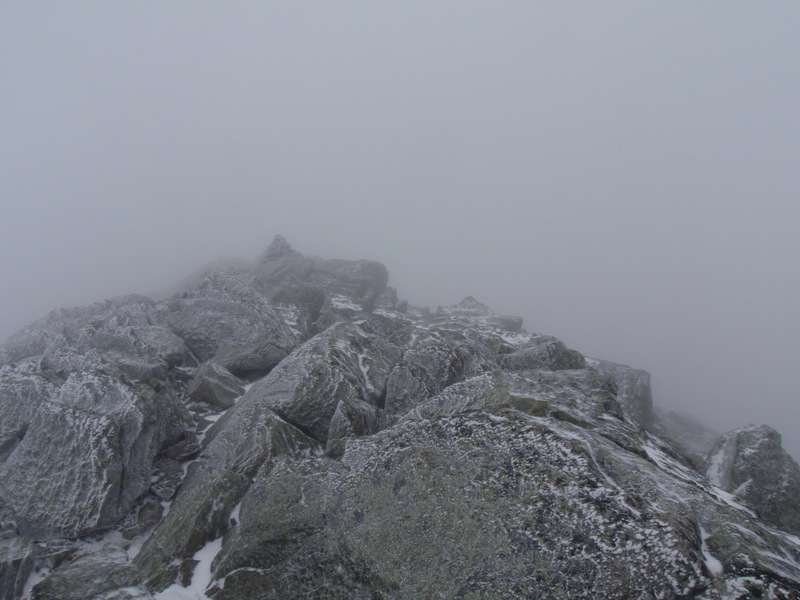 The Mount Washington Observatory is a great place for White Mountains weather conditions. I invested in plastic mountaineering boots as soon as I started winter hiking a few years ago. I did not buy new snowshoes since I thought my Tubbs Altitude 30s would do just fine. However, I never actually checked that the bindings on these snowshoes actually fit over my huge mountaineering boots; it turns out that they didn’t but I found that out the hard way. I strapped these to my pack for many winter hikers but never needed them since trails in the Whites tend to be well packed. Finally, on a winter ascent of Mount Adams (yeah, Mount Adams again), we came to a spot on the Airline trail where the tracks stopped. For the first time in a year I took my snowshoes off my pack only to find that the bindings did not even come close to fitting over my boots. I quickly realized that snowshoes were not an option for this hike. I tried walking without them only to post hole up to my waist. My embarrassing mistake forced me to turn back and camp 1 mile from the road without getting near the summit. How to avoid this mistake: Make sure all of your gear fits before you leave home. This will prevent the embarrassing, and possibly dangerous, situation that I faced on Mount Adams. 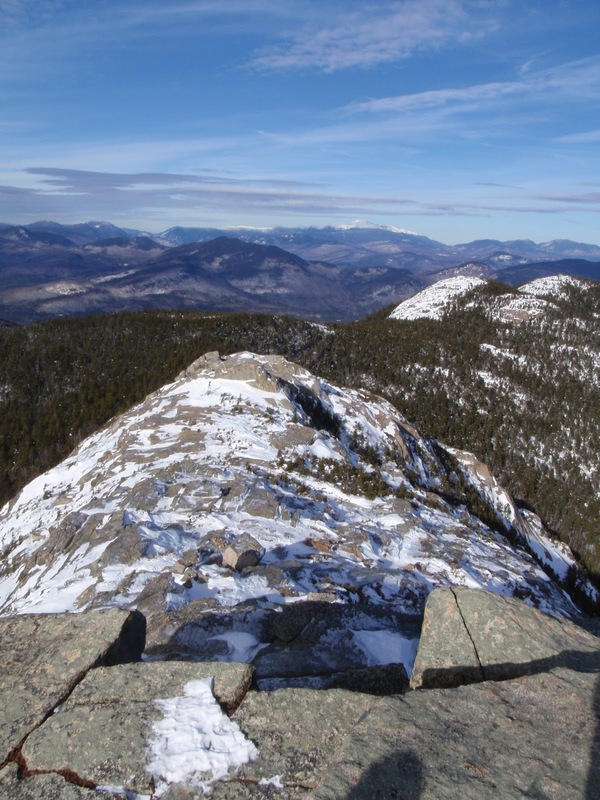 I incorrectly attached my new ice axe to my pack for a winter ascent of Mount Chocorua. It fell off my pack during the climb and I did not hear it. I didn’t notice it was missing until we took a break at least an hour later. At that point it was too late to go back and look for it. This would have been an extremely dangerous situation if I was on a hike where the ice axe was needed. How to avoid this mistake: Follow Section Hiker’s advice on how to attach an ice axe to a pack. 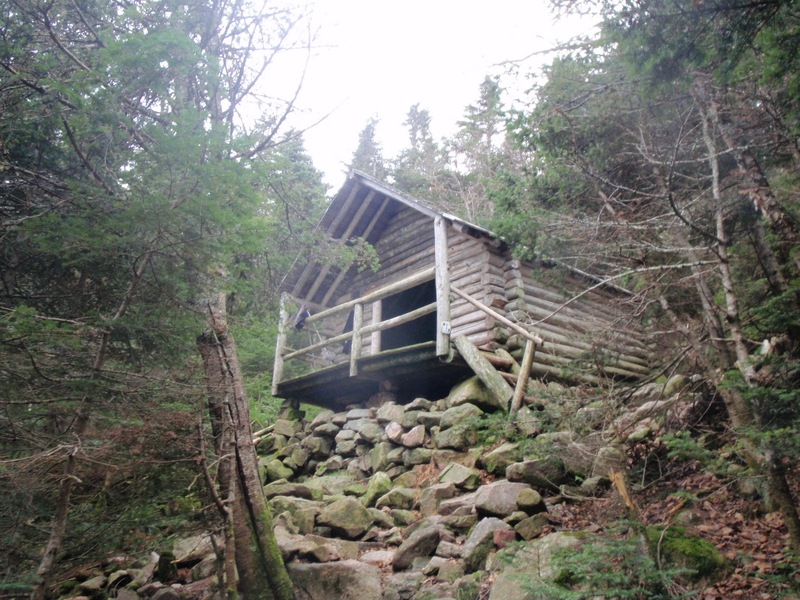 My friend and I a did a fall overnight at the Guyot Shelter, which is about as far away from civilization as you can get in the White Mountains. Clean drinking water is absolutely critical on any hike so we carried a water filter. The only problem is that neither of us had ever used that specific filter. Assuming that the filter worked fine, we practically drained our water bottles on the hike in and at camp. The next day we grabbed the water filter and headed to the stream to fill our empty bottles for the hike out. I have used water filters many times before and thought this would be easy. We set the filter up and began to operate it only to find that it was broken and no clean water came out. We even broke out the directions and verified that the set up was correct but still no clean water. That was when we realized that the water we had left was all we would have for the hike out. Luckily we had about 1.5 quarts between us and that was enough to get back to the trailhead. This mistake could have had serious consequences if the hike was longer or if weather conditions were not favorable. How to avoid this mistake: Test your water filter at home before hitting the trail. Also carry water filtration tablets as backup in case the filter malfunctions. 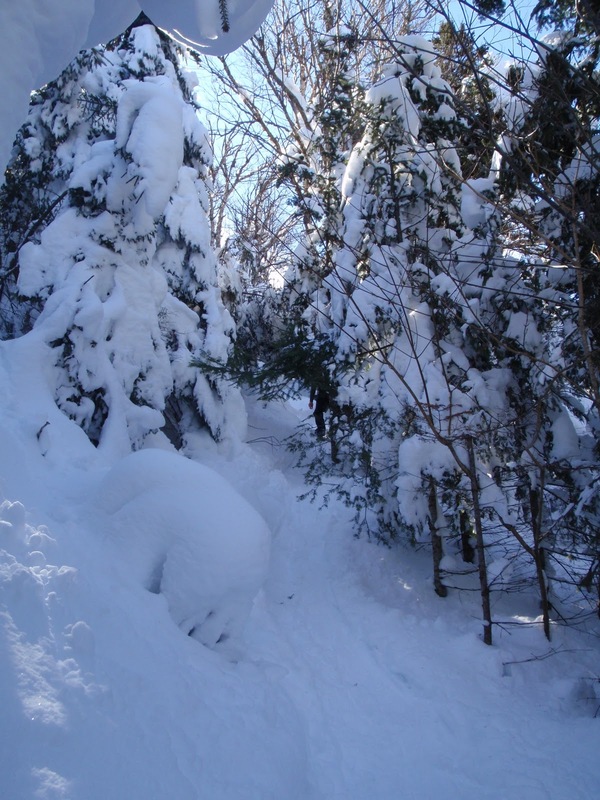 Hiking uphill, even in the winter, produces a ton of body heat and hikers need to layer accordingly. I recently forgot this rule on a winter ascent of Mount Washington. For some reason I wore a base layer, flee jacket, soft shell, and my hard shell once we cleared tree line on a sunny and mildly windy day. Needless to say I began sweating profusely as I approached Mount Washington’s completely exposed summit cone. It was so bad that I began to feel like I was becoming dehydrated. I literally had stop, with no wind protection in sight, and strip down to my base layer to create a proper laying system for the ascent. Thankfully the weather was on my side that day but this was a huge mistake for two reasons. First, I had to strip down to a base layer in an exposed area known for dangerous weather. Second, I had soaked my fleece and soft shell in sweat which diminished their performance. How to avoid this mistake: Know how much heat your body generates and layer accordingly. Also consciously think if your layering system is the right one to deal with the weather and terrain conditions you are facing. Check out REI’s adviceon how to dress in layers. So there you have it, those are the top five mistakes that I have made on the trail. I have learned from each of these experiences and am a stronger hiker because of it. I hope you can learn from my poor judgment. What hiking mistakes have you made and what did you learn from them? I also recommend that every outer layer have a full zipper that opens up to either bare skin or a shirt with netting. There are few days so cold that I'm not opening up to ventilate and cool off to avoid as much sweat build-up as possible. Awesome article. A great learning resource! Double Whammy, a failed headlamp and no tent poles! Did you sleep in a tent with no poles? What did you do to get out of the rain? Thanks for the feedback on this post! -Leaving a days worth of food (a cheese) in my car in a cooler instead of in my pack. That cheese was never the same after 3 hot days in the car. I'm sure I could come up with many more. Grant – I rigged something with rope to at least get the tent 'up'. I somehow managed to stay sorta dry, mostly I think because the rain did was mostly done by the time I was ready to sack out. Even those of us that think we're always prepared have done some 'less than ideal' things out there. Your list is definitely right up there ;). It isn't always 'what doesn't kill you makes you stronger' but also '… makes you smarter'. Even better when you can learn from others. Thanks for the excellent post. Matt- Very impressive, you essentially built your own ultra-light shelter! Mark- I have to agree that what doesn’t kill us should make us smarter! Unfortunately there seems to be an infinite number of mistakes to be made out there on the trail!